Alexandra Otieva was born in a city located on the bank of the great and one of the most picturesque rivers of Russia – the Volga River, in the city of Saratov. Being 35 years old, Alexandra proved to be an experienced artist painting her pictures in a sensual manner. 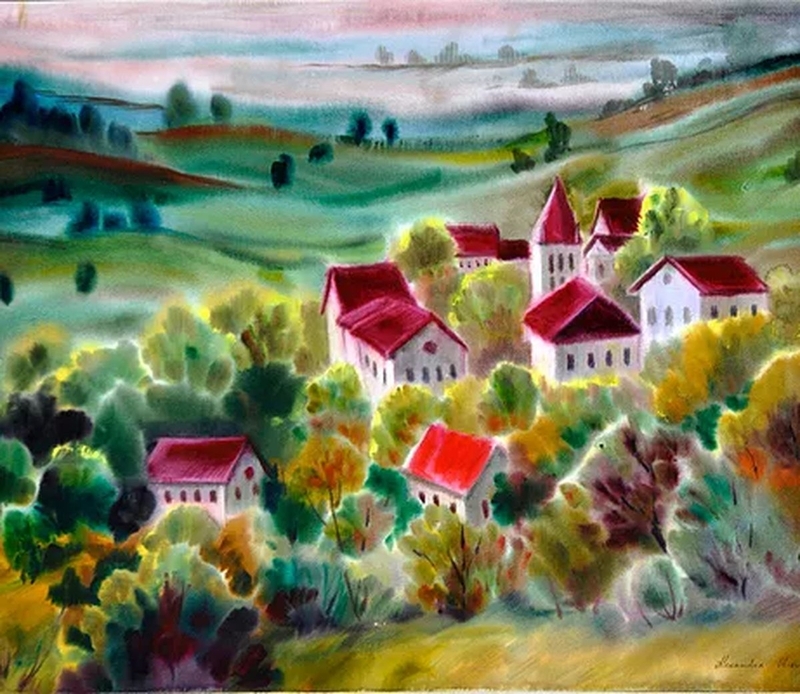 After spending all days of her youth in the workshops of watercolour painters of the Union of Artists, she became the youngest artist at joint exhibitions. 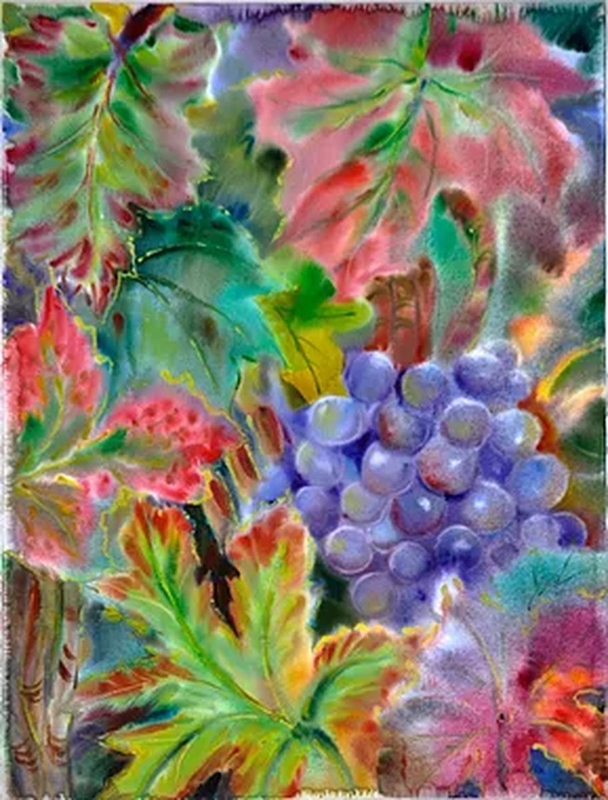 Her period of creativity lasts more than 15 years, during this time her paintings were and are still exhibited in various galleries in Russia and France. Her portfolio includes more than 200 works. Some of the works took place of honour in private collections of St. Petersburg, Moscow, Saratov, London, Monaco, Nice, Paris, Boston, Montreux, Geneva and Spain. You have said many times that you are fond of painting since childhood. Do you remember the moment when you became interested in painting and you realized that you want to connect your life with it? As soon as my parents gave me colour pencils, drawing became my favourite pastime. My mother says that in my earliest childhood I painted inverted images, then everything took its places. As a rule, people seldom remember anything from such age, but the pictures I drew imprinted in my memory. I will not say for sure when, but I think, at a slightly more conscious age, in kindergarten, I already knew that I wanted to become an artist and draw in such a way that my paintings could be put into frames and hung on the walls. My first drawing teacher was my father, who was engaged in minting and was the most severe critic of my works. Why did you choose watercolours, not graphics? I always painted using watercolour, it attracted me with her transparency and the effects that one can get. I remain devoted to it until now. 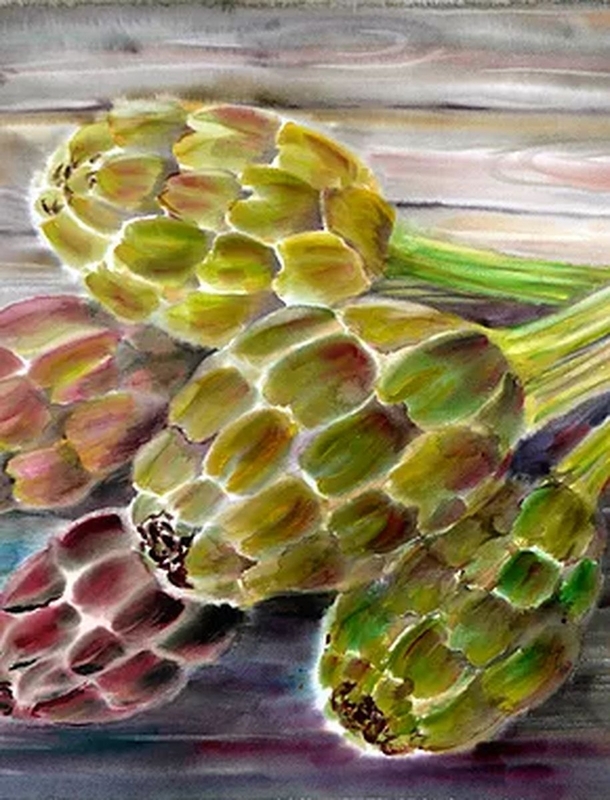 Watercolours have always been underestimated in comparison, for example, with oil painting, although the technique of watercolour on the wet paper is considered to be one of the most difficult ones and provides an unlimited palette for self-expression. In one interview you said that you always drew inspiration from the canvases of the Impressionists. Do you have any favourite artists from other epochs? Who are they and why do you admire them? Impressionists have always been my favourite artists. The manner of painting, the special manner of paint overlay in the creation of air and space as in the paintings of Monet, Sisley, the expression of the elements as in Turner's paintings, Romanticism as in Degas and the combination of colours as in Renoir. Their paintings thrill me and are very congenial to me. I visit many world museums, I am interested in and follow different trends in art, but everyone has his own preferences. I am happy to attend the exhibitions of Chagall. His paintings are saturated with special vibes! I dive into the surreal world of Dali, which gives free rein to imagination. Each artist is so individual and interesting in his own way! It is difficult to name a few names and not offend others by not mentioning them. Many art lovers sometimes do not understand the price-quality ratio. Tell us, what do you think about the value of your paintings? Price-quality ratio is a complex question, since it depends on many parameters like: the artist's name, quoted price at auctions, exclusivity of works, technique, demand, etc. I live and work in Europe; I paint in watercolour technique in a wet way, which is a rare thing in Europe because of its complexity. What is different about your works? 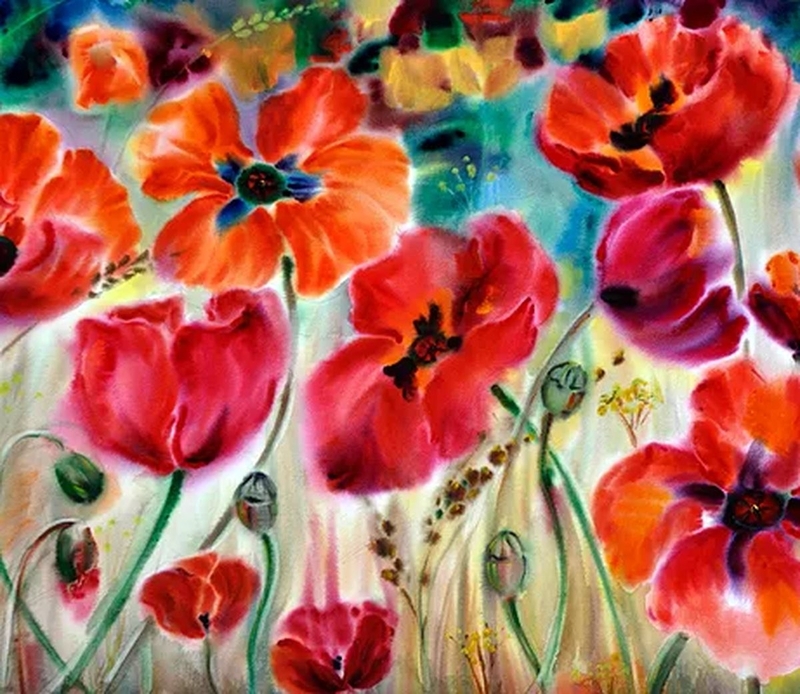 I paint on different formats, including large-scale works (for example, "Poppies" (2013) has a size of 67 by 102 cm, and in the frame its size is 1 m by 1.5 m), which is rare for such a technique. In the language of the artist, it is very difficult to "stretch" the work on large formats, since the paper becomes dry quickly. All over the world, when one mentions watercolour, any person envisages small paintings in pastel colours. Looking at my works, you will see a sea of ​​expression, colour. I have my own style which makes my works recognizable. With the increasing popularity of the author his works acquire greater value from year to year. Is there any work among your canvases that has a particularly interesting story? All the works are inspired by impressions from travel, nature, people. There is probably one that has been forming in my head for a long period of time. This is the picture "Samovar". When I moved to Europe, like all emigrants, I was nostalgic for Russia. 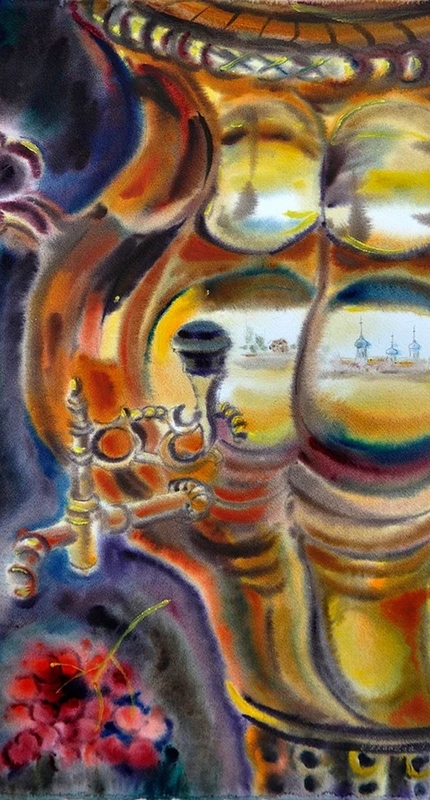 For a long period of time I wanted to paint a samovar. Not only to depict it, but to convey the confusion of feelings that reigned in my soul. I was hatching this idea for about two years! Being desperate already, I suddenly saw it (samovar), as a slightly abstract image with a reflection of domes of Russian churches. When I put it onto the paper, it sounded in my head: "Here it is, Russia". What is unique about the technique you use? Watercolour on the wet paper – a technique which means abundant wetting of the sheet with water on both sides and applying paints in one go. It reflects my desire for dynamic strokes, colour effects, special transparency and fluidity of the image. Mastering the technique takes time and attention of the artist, who must know exactly the degree of saturation of the paper with water (watercolour is already a water-soluble paint) in order to achieve the desired effect. After all, any error here is not subject to correction. How long does it take you to create one picture? On the average, 4-5 hours of continuous work. It is necessary to plunge completely into the creation process. It takes a lot of patience and inspiration. Every time it's a challenge with yourself – like the first time. Which audience do you need for your works? And who buys your works more often: Russian people or foreigners? I would put your question in other words. Which audience needs my works? As I remember now, people bought the first works that I sold because the pictures touched certain feelings, caused memories or emotions. It gives me indescribable happiness – that my pictures can cause feelings like that. My audience is advanced people with a sensitive perception of the world, emotionally bright, dreamers and travellers. It is difficult to say who buys more. Both foreigners and Russians do. Probably Russians buy more, although many foreigners admire my works, but the process of buying is more complicated for them. You paint not only on canvases, but also transfer your works to fabric and porcelain. Do you prefer to create a piece of art knowing that it will become an independent decoration of the interior or will complement the applied arts and become a decoration for clothes? When I'm working on a picture, I never think in advance whether I can use it anywhere else. The pictures themselves, each independently, gave me the idea of ​​creating porcelain or silk. For example, the idea with porcelain was born in a dream. I dreamed of a porcelain with a particular picture, exhibited in the window of one of the best hotels in Paris. When I woke up, I did not immediately realize whether this was actually happening or it was just a dream, and only after a few minutes I found this idea brilliant. Silk dresses with my pictures is a unique solution to emphasize the individuality. I put them on to get out with great pleasure, and people immediately recognize my pictures on them. 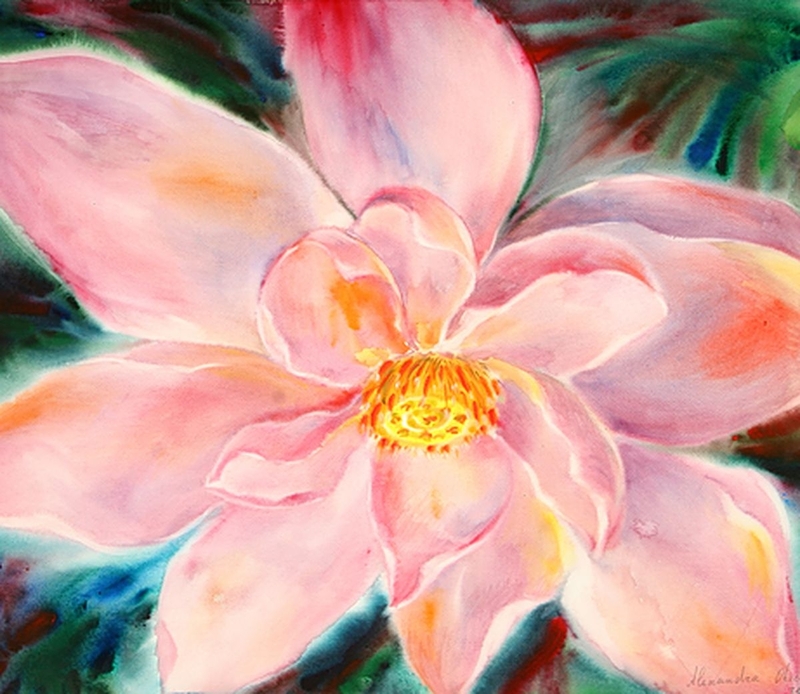 My paintings also look beautiful on silk scarves. Did you have experience in creating pigments yourself? The creation of pigments was used by artists before, mainly to create oil paints. I work only with the St. Petersburg watercolour, which gives an opportunity to mix colours in order to create your own shades. I do not use pure colours. There is no white and black colour in nature – this is the result of mixing other colours. Opening a new box of watercolours, I immediately remove these two paints. 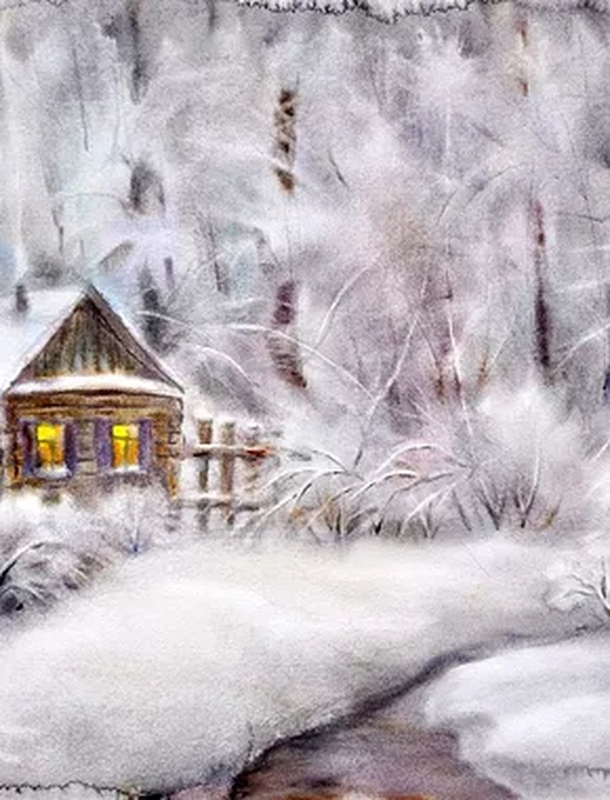 For example, if in pictures with Russian winter you see snow, or a bouquet of white chamomiles, then remember that white paint was not used there. European watercolours are boring, because they give you a huge number of variations of any colour (for example, five shades of violet). And where is here a place for creativity when you paint, say, lilac? After all, the process of creating a picture is a vision and creation of shades. What would be the slogan for your works? What is the exclusivity of your work in comparison with other watercolours? Style, manner of painting, large-scale format and individuality. In the landscape series, the decorative effect takes second place. It is dominated by the mood, which is an indispensable component of the watercolour landscape. It is necessary to feel its feature which gives a unique sounding to the works. The quintessence of my sensation is a few almost abstract works, completely built on colour chords.